No problem, these are not dumb questions! I don't actually do fancy tricks or something in terms of rendering or shading. I mainly use the Unity Standard shader for everything, most of the time even without textures (except for the top of the platforms and the character). One thing I did is I turned smoothness all the way down to zero. In terms of lighting, it is indeed just a main directional light with shadows enabled and in addition to that, a few point lights in different colors with low to medium intensities, no shadows enabled and a rather large radius. Having an isometric perspective and a scene that mostly consists of cubic shapes helps getting the impression that each face facing a different direction has a different color - that's because I light them more or less independently with the point lights. 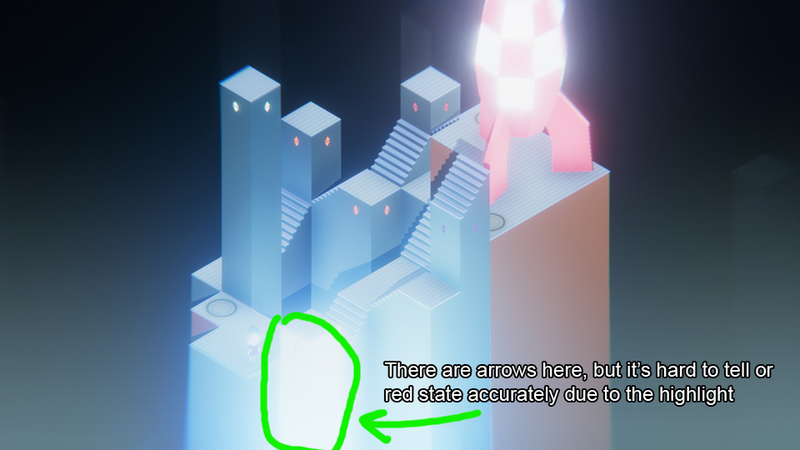 The main directional light is there for a general light direction, the point lights are there to brighten and colorize the parts of the level that otherwise would lie in the directional light's shadow. I also add ambient light with a single color to the mix. The sun icon is the directional light and you can see the direction it is facing. The other lights are the point lights spread throughout the scene with their radius represented by the yellow circles. Another big part of getting the look is of course post-processing and a colored gradient overlay. I made two screenshots, the first one without the gradient and post-processing, the other one with both enabled. The gradient is just a sprite with a gradient from white to transparent that I colorize in Unity and put on top of everything except UI. It does, thank you so much! What kind of post processing are you doing? 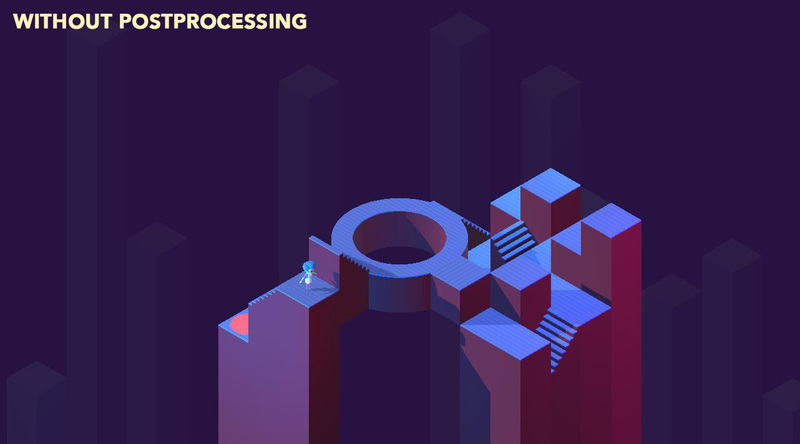 I'm using Unity's own post-processing stack (version 1 from the asset store). The effects I use are Anti-Aliasing, Ambient Occlusion, Bloom, Color Grading, and Vignette. 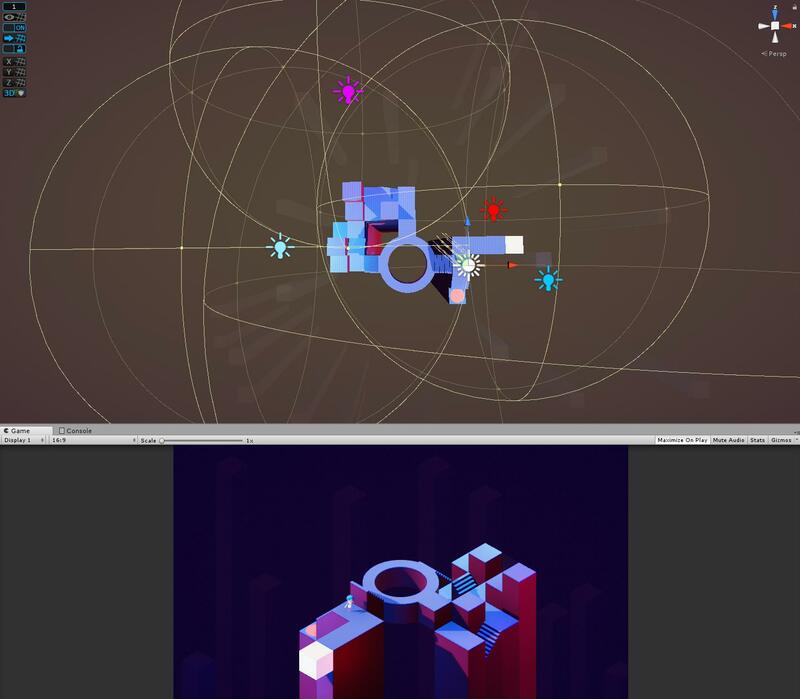 Building levels/puzzles is taking me longer than I initially thought. They can become quite complex, but I somehow still feel they are too easy to solve. I also don't really want players to stay in a level for more than one or two minutes. Not sure how it is for people who haven't played the game and aren't familiar with its rules. But! I built all levels that I wanted to build! I have yet to test them for errors and mistakes, but they are all in the game, which is cool. I also found a nice way to have "dialogue" without words. I spent a few hours today and created a bunch of small images, which will be implemented via speech bubbles, like in the screenshot below. So far I have a system that shows an image randomly chosen from a list, but I also want a few scripted "dialogues" at certain points in the game, so I guess that's what I'll do tomorrow! This game is visually stunning! 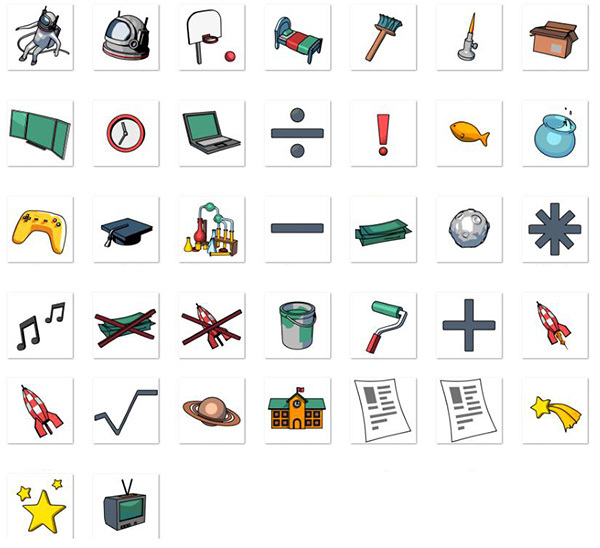 I really like the use of icons to communicate with speech bubbles. 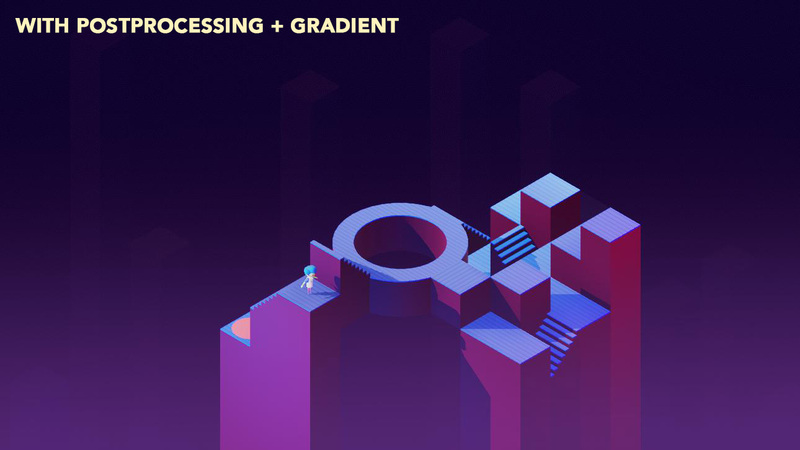 The post-processing gradients are so pretty It sort of reminds of of some of the airbrush art from the 1980s, but modernized and more crisp. The more detailed ordinary everyday elements (people, bed, door...) resting on those abstract, monolithic structures and backgrounds is great - the scene is relaxing and unnerving at the same time. Oh man, the jam is over, but I still find some game-breaking bugs and generally things that I need to fix/add. Unfortunately, I am now back at my work and also work on another project will continue so I try to squeeze in a few fixes here and there. I hope to have something up on itch by the end of this week. The game is sort of playable right now so I'm optimistic this will happen! Happy to announce that the game is now released on itch! This is incredible! So well done, congratulations! Thank you! Also, thanks for the bug report, will fix asap! You picked such a smart scope and knocked out of the park! I really loved it, it feels like a finished game on steam or app store. Great job, i love the art and the UI, it all fits the theme so well. The puzzles are great, i feel like some of them could be a bit smaller, just so you could read em better, but overall they are great. I love how you put stuff like the painters or school kids in the middle of the surreal enviroment, it tells the story and also adds a lot of variety to levels. I'm yet to finish, but i'm really enjoying it. I haven't finished the game yet, since I got stuck on one of the levels last night, (thanks for letting me continue from the most recent level when I quit out!) but this is really excellent! Very nice job! The game is absolutely gorgeous and the gameplay is fun! Feels like a finished package. I agree with SharedControl that some of the levels could be a bit tighter. At the moment, trying out different solutions can take quite many clicks and feel like a bit of a chore. This is a very minor complaint though. This is really well executed and a nice environment to be in while solving complex puzzles. As others have mentioned, I also found making lots of clicks to quickly try something by moving a platform was a bit clicky. I tried to do a "click and drag" but it didn't work. That might be a nice compromise though. Would be tricky to get the snapping/elastic feel just right, but might be interesting. The amount of polish you put into your Wizard Jam games does not cease to amaze me. As others said, this feels like a finished product. The visuals are gorgeous, and the mileage you get out of your mechanics is much more considered than in the average puzzle game prototype. Did you make the music yourself as well? I love the little horn flourishes. I do have gripes with the gameplay, though. 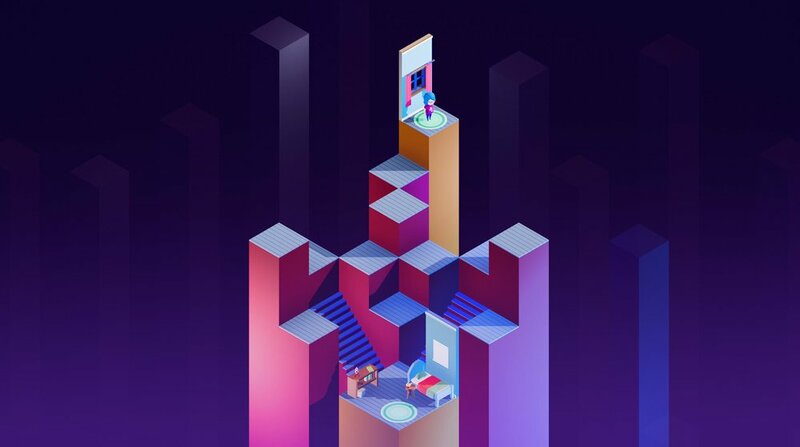 I agree that the game is a bit click-intensive - not helped by the fact that some levels have a hidden exit which can only be found by blindly clicking away. 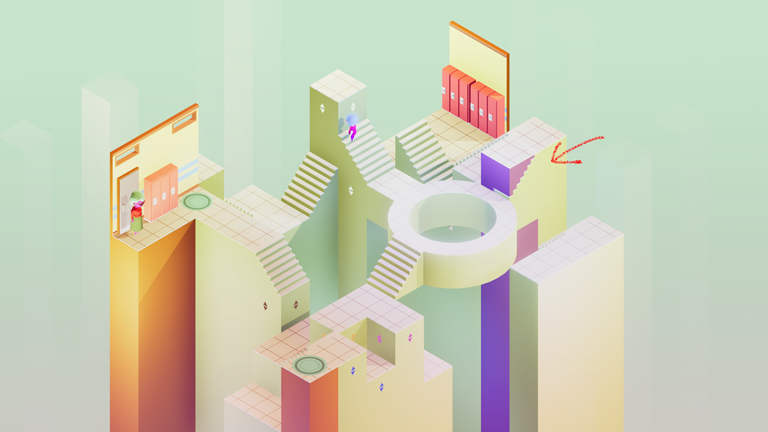 I'm also not entirely sure that the isometric perspective is the right fit for these gameplay mechanics. It's a bit visually confusing. 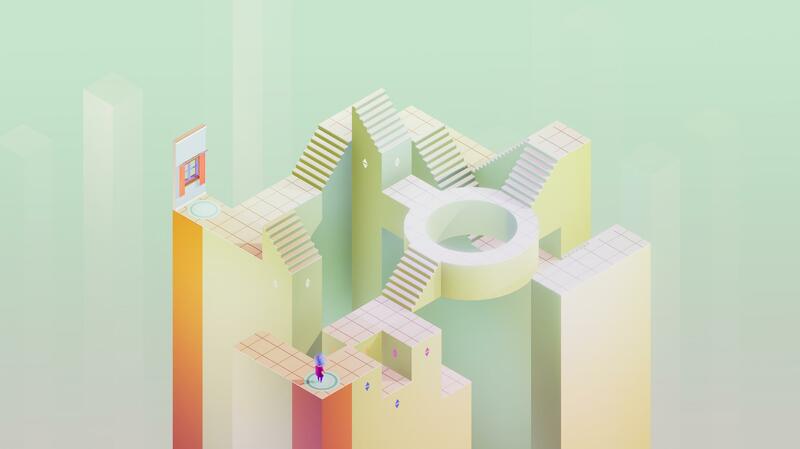 The lack of perspective and the flat, smooth lighting puts my brain into Monument Valley / Fez mode. I had to remind myself that this isn't one of those games and that the path which looks complete from this certain angle actually does not connect in 3D space. It's maybe an unfair criticism, but I dunno, I feel like that's the risk you run by choosing this visual approach. The perspective also means that you can get into the frustrating situation where you know there's a platform in a specific spot, but you have no line of sight from any of the cardinal directions. Perhaps you intended this as part of the puzzle, but to me it felt finnicky. 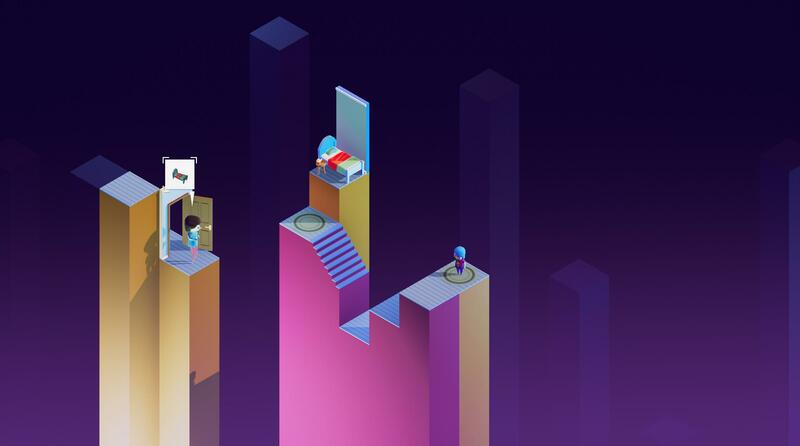 It also meant that it was possible to get the levels into a state where it seemed easier just to restart, because some platform seemed permanently inaccessible, or it would be too much of a hassle to find a way to access them. This is amplified by the fact that some levels seemed a bit cluttered. One thing about the gameplay I want to give kudos to specifically is the mechanic of shifting a whole row horizontally - it's a simple addition which opens up the possibility space and complexity considerably. I liked those levels a lot. Though perhaps the controls should have been in the UI, rather than world space - they were made a bit cumbersome by having to switch angles because level geometry would block line of sight on them. I hope this doesn't come across as too critical. As I said, I think it's really incredible work for 2 or 3 weeks. @SharedControl @eRonin @Nappi @brendonsmall @pdotjpg Thank you for playing and giving feedback! A lot of good thoughts there, and none of it too critical! Looking back I agree that some levels could be much smaller / focussed on specific things. They became quite big pretty soon because it's tempting to use all your mechanics at once I guess. I tried to introduce each one separately but one thing I really didn't expect was that people find the game too hard. During the jam, I constantly was afraid of everything being too simple, so I added and added and added stuff to the levels to make them harder or more complicated - and probably overdid it sometimes. I forgot that as a game creator you are automatically an expert at your game and everybody else isn't, at least at launch. It is also correct that it is rather click-heavy. I wanted to add "hold to raise/lower", but an early implementation of that broke other stuff so I decided to use what's already working and finish the game. I might come back to this later because when it worked it felt so much better than clicking each time you want to move something. I also want to go over each level and fix some cases where blocks are really hard to reach or where they can disappear behind others, forcing you into a reload. Fortunately, everything is set up so that this is pretty easy to do, it's just tedious and time-consuming. Regarding the perspective, I think it's preference. I like the isometric view and I'm not really bothered by being tricked into thinking a path exists when it doesn't. 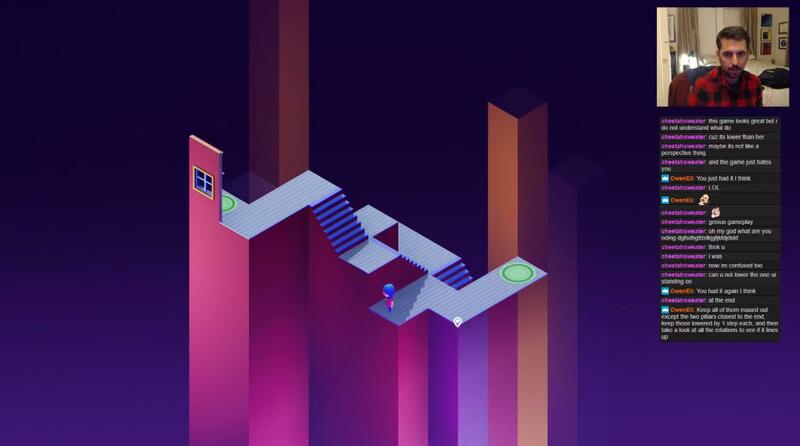 It's probably like you said, you have to leave that Monument Valley mindset behind, though I see how that's quite hard, given how influential MV is (also to this game, obviously!). @brendonsmall thanks for pointing that out. As this is the only level with these blown out highlights and the other views reveal the arrows, I think it's ok as it is. Also, I spent a good amount of time during development hovering on the main menu buttons, you can actually make simple melodies! @pdotjpg Yeah, I made the music. 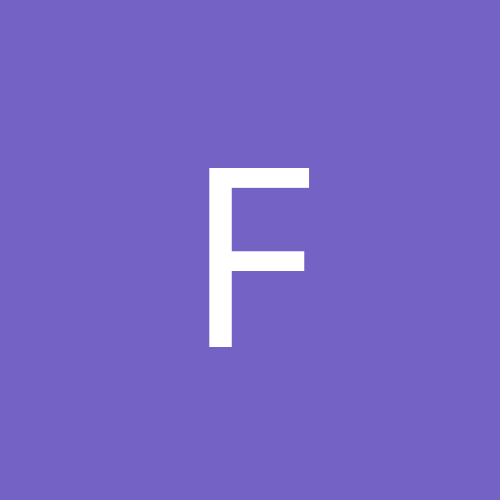 A few posts earlier I posted some of the loops as a Soundcloud playlist. Glad you like it! Thanks again for playing! Getting awesome feedback like this is really encouraging! During the jam, I constantly was afraid of everything being too simple, so I added and added and added stuff to the levels to make them harder or more complicated - and probably overdid it sometimes. I forgot that as a game creator you are automatically an expert at your game and everybody else isn't, at least at launch. This is an easy trap to fall into! I read interviews with NES game developers about why their games were so hard, and basically the answer was that back then, they didn't have dedicated playtesters, it was just the developers doing their own created levels over and over, and so it became muscle memory/really easy for them. So they kept challenging themselves and in the end they made very hard games. I must have been overlooking something completely obvious. I am also profoundly bad at reading instructions, so maybe I missed a key bit of explaining. It's such a gorgeous game, and I'm sad that I couldn't progress any farther! Thanks for playing and streaming!